Wait, is that a doll or a dog? Is Bella Bear playing or sleeping? Which color goes with “purple” and does Bella’s expression mean she’s happy or sad?! • Gain fundamental English language skills you’ll need to communicate with your world. 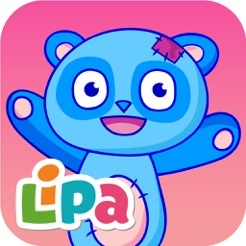 Lipa Bear is a kidSAFE® certified educational app ideal for children ages 2+. 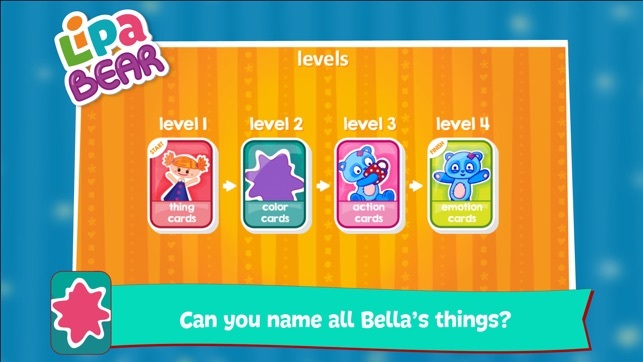 Did you find and name all of Bella’s things? 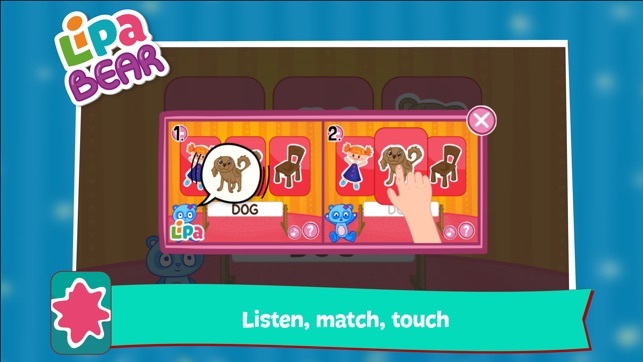 Discover our other challenging & fun apps! Enjoy voiceovers in your native language and even accent. Available in both British and American English, German, Spanish, Mexican Spanish, French, Russian, Chinese, Japanese, Czech, Turkish, Polish, Arabic and Brazilian Portuguese! 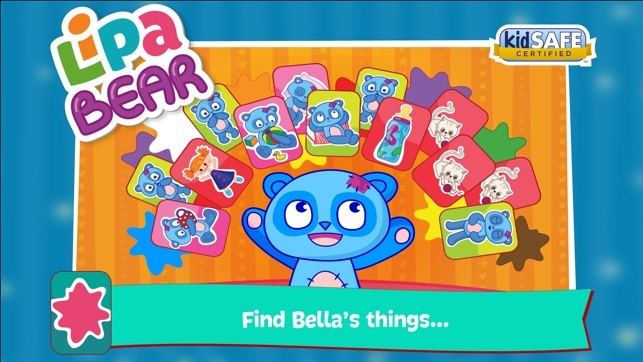 Bella the Bear can now speak Hebrew! See how many new words you can learn together. Your play will also be smoother thanks to a few fixed bugs.